Located St Marys This is an amazing princess wedding dress and matching veil that SPARKLES !!! 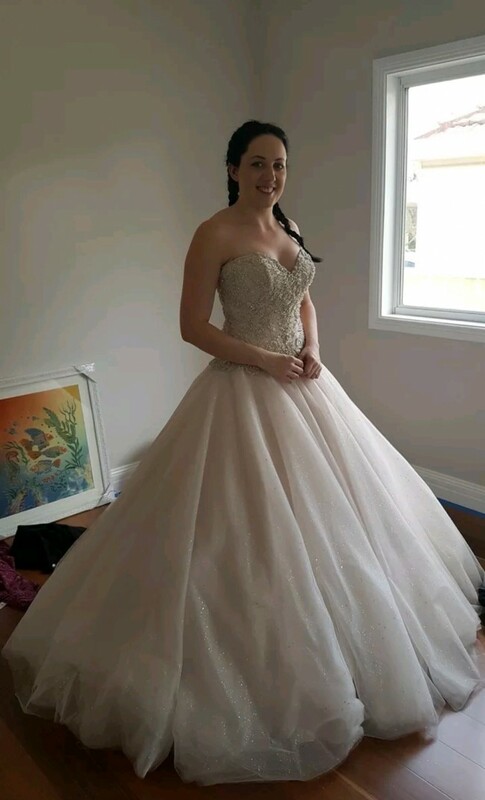 It has Swarovski crystal beading details on the bodice and the whole bottom has glitter through it to make it sparkle :-) it just amazing to wear!!! This is a light champagne ivory colour. I had an amazing wedding and i hope to sell this to allow someone else to have an amazing day in their dream dress. Pick up from St Mary's.